Persona 4 got a lot of love from Atlus. It got an anime, a Vita remaster, and even a fighting game. But Persona 3… well, there are four characters from it in that fighting game. Not much love… until now. 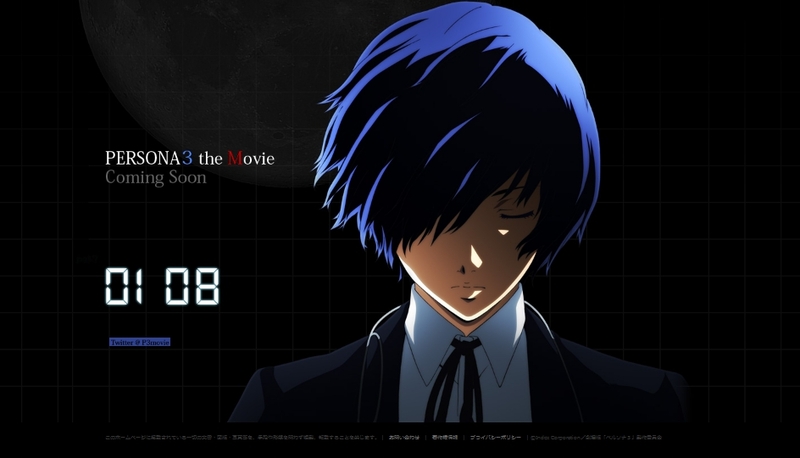 Atlus launched a website teasing Persona 3: The Movie. It’s shows the protagonist of Persona 3 and a countdown timer with “Coming Soon” sandwiched between the time and title. The countdown timer is weird though as it seems to count upward. Maybe it’s not a countdown, but just a visual asset. In the original Persona 3, time was a crucial element as everyday at midnight, the Dark Hour would begin. Those with the ability to summon Personas experienced the Dark Hour, and everyone else were placed in coffins and remained safe. When it was over, those in coffins came out of it and resumed their lives (or kept sleeping since it was midnight). Think of it as time freezing for everyone except hose with the gift and the occasional regular person wandering into the Dark Hour. I wonder what this movie will cover. Like its sequel, Persona 3 is a hefty game. Not sure if a movie would be enough to tell this story. Maybe it’s planned OVAs. Or might serve to bridge the gap between P3 and P4 (since P3 characters are in the canon P4A). Only thing we can say is that, according to the info at the bottom, it’ll be done by Aniplex. Lots of questions, little answers. Stay tuned. This entry was posted in Gaming News and tagged Atlus, countdown timer, gaming, megaten, persona, Persona 3, Persona 3 The Movie, shin megami tensei on July 4, 2012 by Steven T..